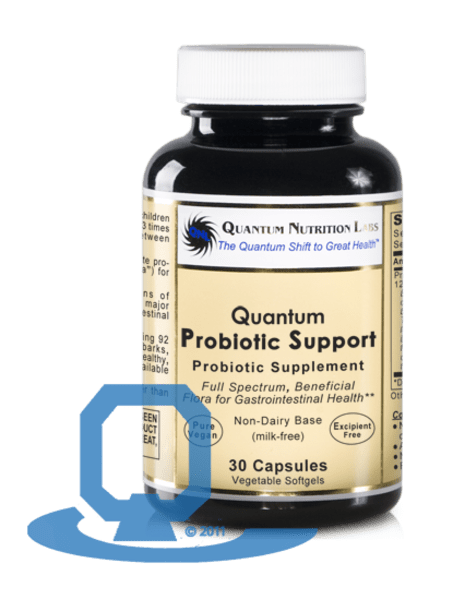 Our broad-spectrum, quantum-state, probiotic formula (with "good bacteria") promotes healthy intestinal ecology with 12 different viable strains of beneficial flora to support health-promoting intestinal bacteria. Our unique fermentation process uses 95 different natural herbs and barks, cultured for 3 years to produce healthy, mature flora and highly bioavailable nutrients. Mountain spring water, safflower oil, beeswax, lecithin and vegetable softgel (tapioca processed from manihot esculenta root, glycerin, carrageenan and caramel), contains soy, ingredients are fermented and processed for three years using 12 strains of lactic acid bacteria. all strains may not be present in final product. 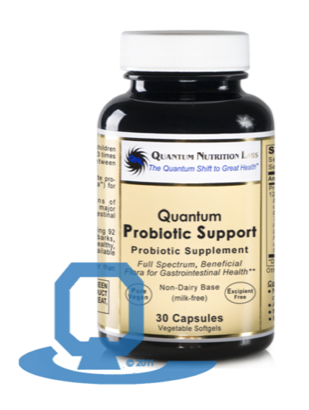 30 caps (Proprietary Fermented Culture each 390 mg, Proprietary Organic Acid Blend each 1.27 mg, Lactic Acid Bacteria1 each 900 million CFU).